My network is without a doubt my net-worth. But how many of us really utilise our networks and to what purpose? Networking has become a business in itself, but for me, it is always a chance to establish acquaintances that could lead to long-lasting and fruitful friendships. Reaching out to people, gaining their trust and being curious about their insights and expertise truly fascinates me. Furthermore, this has proved incredibly valuable in developing my role as a CEO. Now is the time to pass this information on to you! 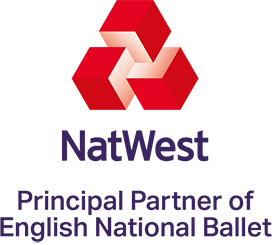 Throughout the journey of the Young Mums Support Network, the staff at NatWest have given me an incredible level of support with their helpful advice. One such person is Sharniya Ferdinand, Business Inclusion Programme Coordinator for Commercial and Private Banking. Sharniya has consistently shown such an enthusiastic interest in YMSN. Furthermore, you would not expect a partnership between ballet and a bank, but Natwest leads the way forward by forging such partnerships and the aim is to attract more diversity in the ballet profession. This highlights how principle partnerships can also work for entrepreneurs. There is a lot we can learn from such efforts. After a truly eventful week, full of media appearances and publicity, I was more than ready for a night out at the ballet. It would be a new experience and something that I could definitely tick off on my bucket list. We were allocated great seats and very much felt like VIP guests. Sharniya introduced me to her colleagues and we all exchanged contact details. As the lights went down and the crowd quietened, the dancers appeared and Swan Lake began! 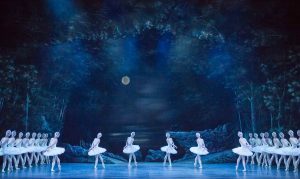 As I became absorbed in the narrative of Swan Lake, I began to think about how I had managed to be here at all – this very evening – seeing this superb performance! Network Like it’s a Dance! I had met people who might be interested in what I do. Building new relationships from the foundations is the reason why YMSN has succeeded. When you start your own enterprise scheme. you do not know what it is going to lead to. What is vital is that you open up your mind to the possibilities the world has to offer. The doors that open. Who you can network with. How to maintain those all-important business relationships. 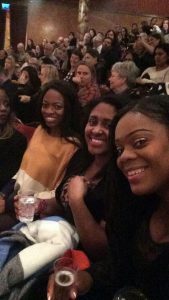 With this in mind, I decided to base my top tips for networking on the ballet itself! To become an entrepreneur of any kind, you have to learn the basics. Every small step. Every single class. Just like a dancer, you are learning new movements and techniques that were previously alien to you. Your perfect pirouette will only happen if you remain persistent and take your time to learn exactly how it can be achieved. Take the advice of dancer extraordinaire, Michhail Baryshnikov who commented: ‘I do not try to dance better than anyone else. I only try to dance better than myself”. Don’t waste your time and energy trying to compete with others. Work out your USP. Give that electrifying elevator pitch and work the room like it’s a dance! Compete with yourself and rise to the occasion. Dance routines and exercises are incredibly complex and not easy to remember. Approach each business concern you have with a clear mind. Then you can focus on problem-solving. Like dance movements, symmetry and balance only come with acute concentration. 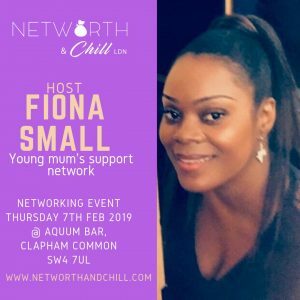 I will be hosting the monthly Networth & Chill event at the Aquum Bar, 68 Clapham High Street, SW4 7UJ. Come along and meet me! Next PostSocial Media and my Top Tips for a Detox!